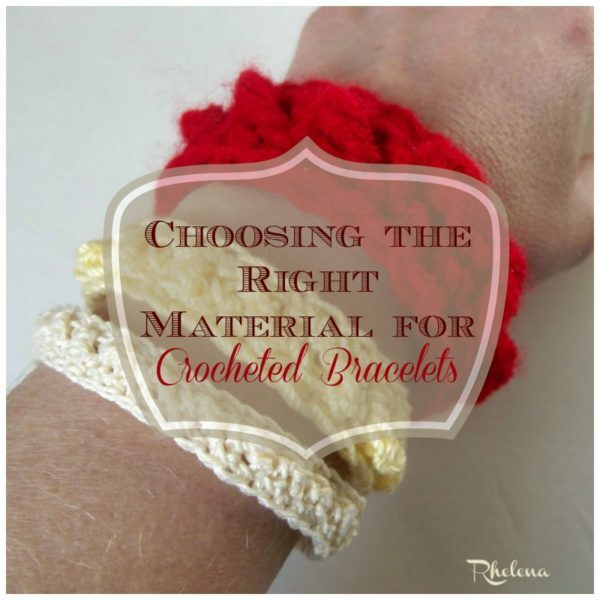 Here are some practical tips to help you choose the right material to crochet the bracelet you want for your special occasion or for everyday wear. 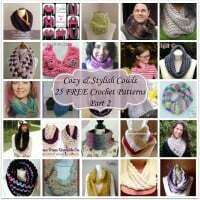 And you’ll also find a few links to free bracelet patterns. Crocheted bracelets are fun and stylish to wear with just about anything. 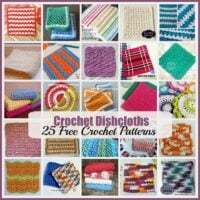 They are especially fun in the summer as you can crochet them in bright and cheerful colors to match the rest of the summery outfit that you might choose. 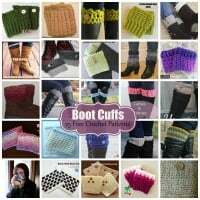 In this way you can use up your odds and ends, making it rather inexpensive to accessorize your wardrobe. 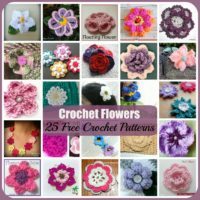 And just because they are crocheted doesn’t mean that they can’t be elegant enough to wear to parties, weddings and other fancy occasions. Quite to the contrary, crocheted bracelets can be just as elegant as anything store-bought. You just need the right material, the right color and the right pattern. Honestly, you’ll be amazed at what you can create once you get started. 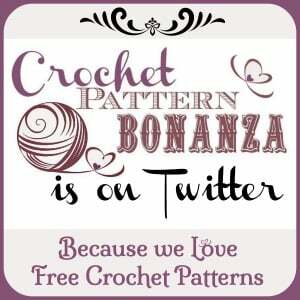 My favorite material is a fine yarn or a size 3 or 10 crochet thread. The beauty of the thread is that it allows for lots of details in the pattern while still keeping the bracelet narrow. And these are the bracelets that you can wear to weddings and other elegant occasions. Embroidery floss is another material to consider as it’s on the thin side too. And the colors available in the floss are totally amazing! A thin and flexible wire is also suitable for crocheting an elegant bracelet. The only thing with wire is that it can be difficult to work with. Thus, you might need a bit of practice until you’re able to keep the stitches at the same tension. Crocheting with wire can also be hard on the hands, so you might need to pace yourself in order to avoid any injuries. Beaded Wire Bracelet by Petals to Picots. Crochet Wire Bracelet by Crochet Geek. Last, but not least, are beads. The beauty of beads is that you can string them over your material. Just make sure they have a hole big enough to fit over the material that you have chosen to work with. Beachy Little Bracelet #2 by Mr. Micawber’s Recipe for Happiness. Double Motif Pear Bracelet by Donna’s Crochet Designs. 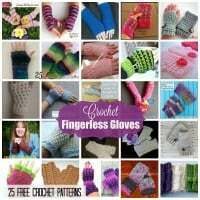 And if you’re looking to make something a bit wider, you can choose a worsted weight yarn. 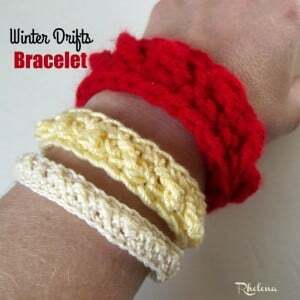 These bracelets are not only quick to whip up, but they’ll also help to keep your wrists warm and cozy. Shades of Pink Bracelet by American Crochet. Crocheted Bangle by Meladora’s Creations. As for your closure, many bracelets are designed to simply slip over the hand. This is the quick and easy way to make them. 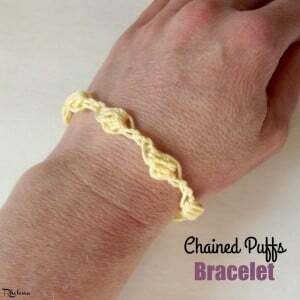 However, you can also purchase a bracelet clasp at the yarn or craft store. Another option is to simply tie the bracelet so it fits snug around the wrist. 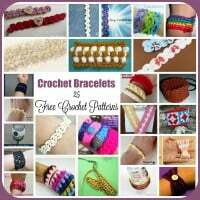 Crocheted bracelets can also be a lot of fun for young children from toddlers and up. 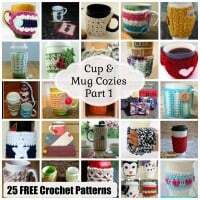 Just remember to keep things safe if crocheting for children. Wire and beads should not be used for children’s items in order to avoid injury. 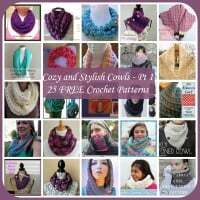 Here is one that can be crocheted to any size from toddler to adult. And you can choose any material that you like. So I hope that you’ll try it out and have fun wearing your new bracelet creations. 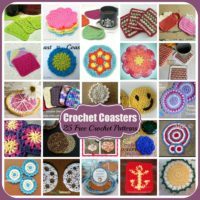 You can design your own, or check out the growing collection of crochet bracelets over at Crochet Pattern Bonanza.